As a student, one of the most important things you can do to market youself and impress recruiters is building a personal website. Building my online presence though my personal website and other social media accounts has allowed me to connect with other amazing people, travel the country for free, and even make enough money to pay off a ton of my student debt while still in school. I simply can’t stress enough how beneficial it can be. In March of 2012, I wrote a post called The Ultimate Guide to Building a Personal Website. 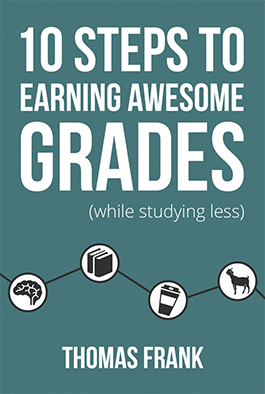 This guide has become one of the most popular posts on College Info Geek, and has been viewed over 23,000 times. However, a lot of people asked me if I could make a video tutorial to go along with the guide. Well, now I have! In this video, I show you, step-by-step, how to create your own personal website in less than 10 minutes. If you’ve been on the fence about creating your own website because you’re worried that it’s too complex, I hope this video will change your mind. Remember, you can also check out the website building guide for a more in-depth tutorial, as the video just covers the basics. Should you be interested in learning more about building websites (coding, design, etc), the end of the guide has information on where you can go to learn more as well. Hopefully this breaks down any remaining excuses you have for not getting started! Now take action and get your website built! Remember, I’m always available if you need help – leave a comment or hit me up on Twitter. Was this video helpful to you? If so, send it to a friend who hasn’t gotten around to making their site yet! They’ll thank you when they get that awesome job they wanted (I’ve been thanked more than a few times by my friends).